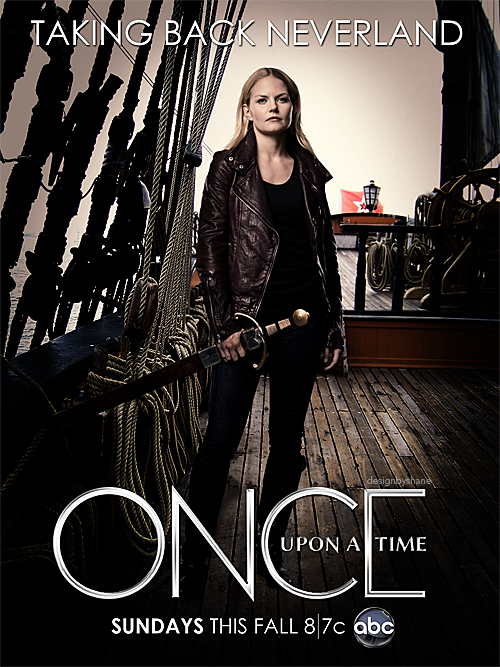 Two years ago, ABC’s fairy-tale-characters-in-the-modern-world series Once Upon A Time appeared on the scene as a surprise hit and carried its ratings success into the start of its second season. But by late Spring last season, the series had sunk to the lowest numbers of its run, averaging barely a 2.3 rating in the 18-49 demographic after January. But the series returned this last Sunday for its third season and enjoyed a boost to its numbers, pulling a 2.6 rating with 8.5 million total viewers. That’s a far cry from the 3.9 rating and 11.4 million viewers that the show had to start its second season almost exactly one year prior. But at this point, the network will be plenty happy with that 2.6 score. The fact is that Sunday nights have become quite contentious for the broadcast networks as the cable channels have launched some serious turf wars on that evening (with shows like Breaking Bad, The Walking Dead, Game of Thrones, The Bible, and more). The old school nets are doing anything they can to remain relevant on Sundays and Once Upon A Time’s numbers look pretty good for now. And seeing as that show is in its third season, it’s in a rather comfortable spot short of a ratings collapse. As long as it stays above the 2.0 mark, it should be a pretty safe bet to get a fourth season renewal (as predicted by TV by the Numbers). Last night, FOX’s Sleepy Hollow continued its downward trend, but not by much. It slipped to a 3.0 rating in the 18-49 demo with just under 8 million total viewers (based on the preliminaries). That barely counts as a drop, and it’s nothing to worry about. As long as this show stays at or above a 2.5 rating, it’s definitely safe. And it could even slip a bit further than that and still get a second season renewal (as we saw with The Following which aired in the same timeslot at mid-season last year). On Friday, The Neighbors aired its second Season 2 episode and fell even further in the ratings. The show only pulled a 1.0 score in the 18-49 demo with 4.1 million total viewers. Even on that low viewership night, I’m thinking those numbers aren’t going to cut it. And the typical trend for most shows is that the ratings continue to sink over the coming weeks, so if The Neighbors falls below the 1.0 mark you can pretty much count it a goner. But then I said the same thing about the show several times last season . . .
On Syfy, Haven got a bit of good news for its latest Friday outing. The show edged up to a 0.5 rating in the 18-49 demo with 1.54 million total viewers. If it can hold at that mark, then it has a much better chance of getting a Season 5 renewal. If it slips back to the 0.4 level it had for its first two Season 4 eps, or drops further, then its days could be numbered. On Nickelodeon, The Legend of Korra slipped a tick to a 0.5 rating with 2.38 million total viewers, but those are still great numbers for that network and that show remains in good standing. The CW gets started with its season premieres this week as Vampire Diaries and The Originals have their bows on Thursday (with the latter moving to its regular Tuesday 8 PM EST timeslot next week). And there are still more premieres on the way, so check out the Fall schedule at this link. Keep an eye on the Cancellation Watch Twitter Site for the quickest ratings update and on this site for the latest analysis of how this season’s shows are performing.